Patrick Sharkey, in his book An Uneasy Peace argues that Stop and Frisk policies did much to damage if not ruin any trusting relationship between police and the communities most impacted by violence. 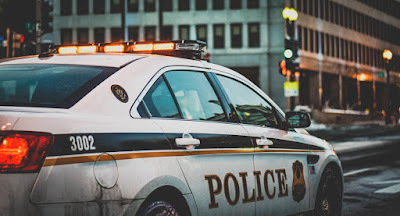 Stop and Frisk is the practice by which an individual can be stopped by the police if the officer has reason to suspect a crime has been or is about to be committed, and then frisked if there is suspicion he/she is carrying a weapon. Before it was ruled unconstitutional in 2013, Stop and Frisk was disproportionately carried out in black and brown neighborhoods where citizens, especially young men, suffered dire consequences. Data from New York City show that at the height of Stop and Frisk in 2011, over 685,000 people were stopped by the police, 88 percent of whom were completely innocent, 53 percent were African American, 34 percent were Latinx, and 9 percent were white. As is becoming more widely acknowledged, violent crime in the country’s largest cities, and across the world for that matter, has been on the decline since the early 1990s. In New York City, there were almost 2,250 homicides in 1990 compared to an all-time low of 290 in 2017. Even in Chicago, where the declines have not been as dramatic, homicides declined from a high of over 926 in 1994 to 411 in 2014. The recent spike in 2016 of 762 homicides, while tragic and alarming, did not reach the 1994 peak. When Stop and Frisk officially ended in 2013, violent crime continued to decline, but unfortunately fear of the police in targeted communities remained. While no one agrees on the exact reasons for declining violence, to suggest a return to Stop and Frisk is to move in the opposite direction of what the data, not to mention the communities most impacted tells us is the right course of action. It also ignores the complexity of violence as a problem in communities whose residents have mostly been left out of the solutions. Recent projects like the Fund for Safe and Peaceful Communities, Communities Partnering for Peace, Grassroots Alliance for Police Accountability, and Envisioning Justice seek to bring community members back into a conversation about safety and justice at the same time they are attempting to redefine the relationship between police and the communities they serve. There are no simple answers to reducing violence, but as we search for them we as a country must confront our past and its costs to our citizens in pursuit of public safety.